Hopefully, vaguely regular stand-up comedy musings. It is also why we listen to stand-up more than once and still find it funny: there is always an audience present listening to it for the first time, and you are in a state of entanglement. I began my folklore and stand-up inquiry when I first heard of the African-American toast tradition (Deep Down in the Jungle, natch) and thought "That's what Rudy Ray Moore does, n'est-ce pas?" A lot of changes since then but you always remember your first. Mo Rocca interviews Chris Rock: of note is his discussion of preachers and the influence on his stand-up. Preaching as a riffing style is part of it, but the ethnopoetics are also a factor, especially among black comedians. 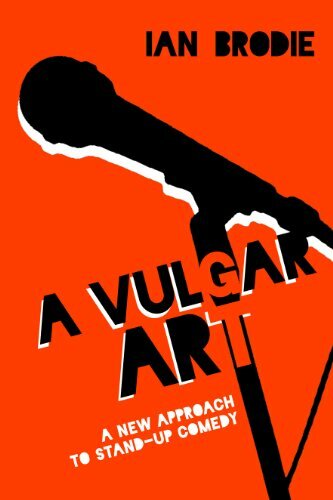 Bruce A. Rosenberg's The Art of the American Folk Preacher was a big influence on my understanding of stand-up, and one day I need to develop the oral-formulaic theory as it relates to the routines. Meanwhile, ethnopoetic transcription is the only way to make the stand-up's words live on the page. Special thanks to bestie Andrea Kitta (@andreakitta), who not only wrote the definitive book on the anti-vaccination movement but also watches CBS Sunday Morning as if her life depended on it. Well this is awesome. Don't ask why I'm hanging out with Glamour Magazine.